I’m delighted to have you visit Café Cala. 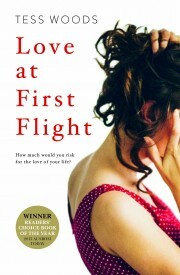 I’m looking forward to reading Love at First Flight. I’ve been making chocolate brownies this morning. Would you like tea or coffee with yours? I’m a green tea addict thanks, Maggie, so I’d love a cuppa to go with your yummy-scrummy brownies. 1 Where did you get the idea for Love at First Flight? It actually came to me out of nowhere in an almost dream-like sequence – quite the eerie experience! I hadn’t considered the idea of ever writing but suddenly felt compelled to write the scene that revealed itself to me and the whole book came from there. The connection with readers who my story has resonated with has been incredibly special. It’s been an unexpected but magical part of the experience and I cherish those connections. I literally sat with pen and paper and wrote a book! I hadn’t written a single thing before then. As far as my writing goes, I think the people who had input into the story were the ones who helped me grow the most and shape my story-telling. Meredith Whitford my manuscript assessor, Jacinta di Mase my literary agent, Di Blacklock my structural editor and Maddie James my copy editor. I learnt so much from each of these amazing ladies. I’ve actually just finished my second novel, Beautiful Messy Love, which is the sequel to Love at First Flight. My advice is forget everything you’ve been told by anyone and write the story you want to write the way you want to write it. There is WAY too much readily consumed information for writers these days and I think a true writer writes from the soul, not from stuff they read on Google or Facebook so shut it all down, lock yourself away and write! My favourite authors are Maeve Binchy, Marian Keyes, Rosamunde Pilcher, Adriana Trigiani – all write warm stories of the heart that aren’t predictable and I love that. Lately I’m enjoying Aussie authors like the brilliant Jenn J McLeod, Deborah Disney, Sara Foster, Kylie Kaden and Lily Malone to name a few. What if you met the love of your life and he wasn’t your husband? An AusRom Today People’s Choice Award winner that will appeal to fans of Liane Moriarty, viewers of Offspring, The Good Wife and movies like Up in the Air. What begins as a flirty conversation quickly develops into a hot and obsessive affair with consequences that neither Mel nor Matt seems capable of facing. As the fallout touches friends and family, Mel’s dream romance turns into a nightmare. She learns that there are some wounds that never heal and some scars that you wouldn’t do without. Facebook – Great giveaways every month! Anyone who can write a book is gifted. Your book was fantastic Tess, I couldn’t put it down. So looking forward to the next book, I didn’t know it was a sequel. 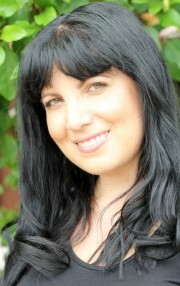 Thanks Maggie for the great interview!